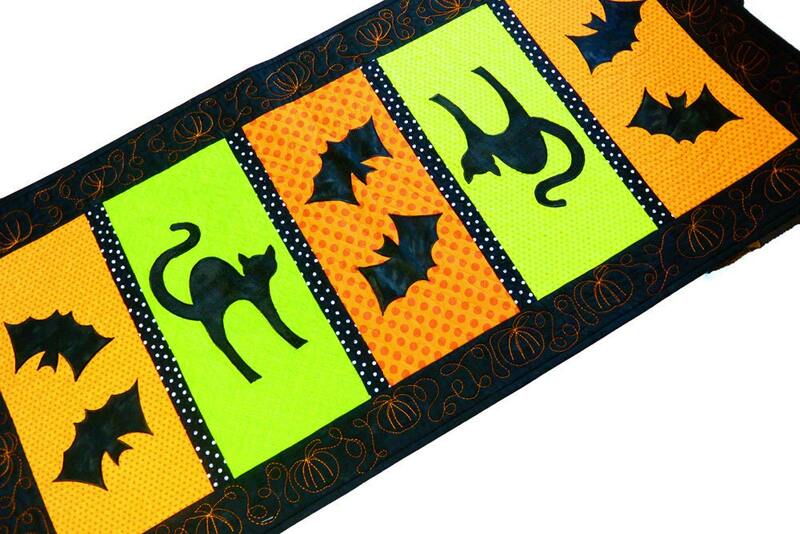 This Halloween table runner is sure to become a go-to for your Halloween table decor! 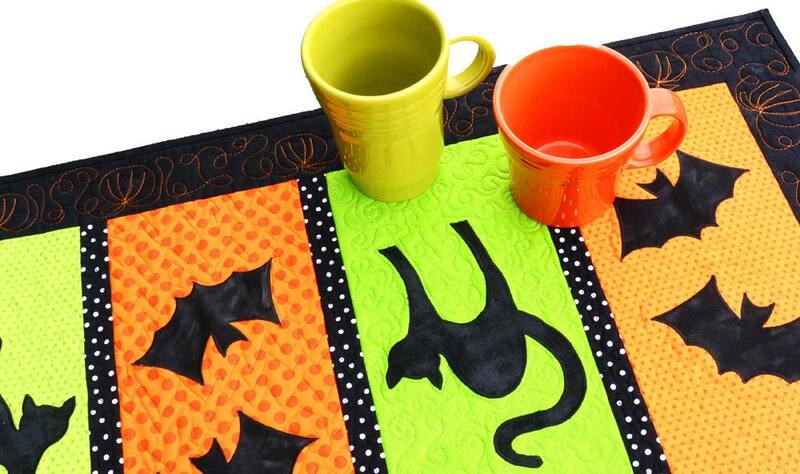 Black cats and bats adorn this bright orange and green table mat. 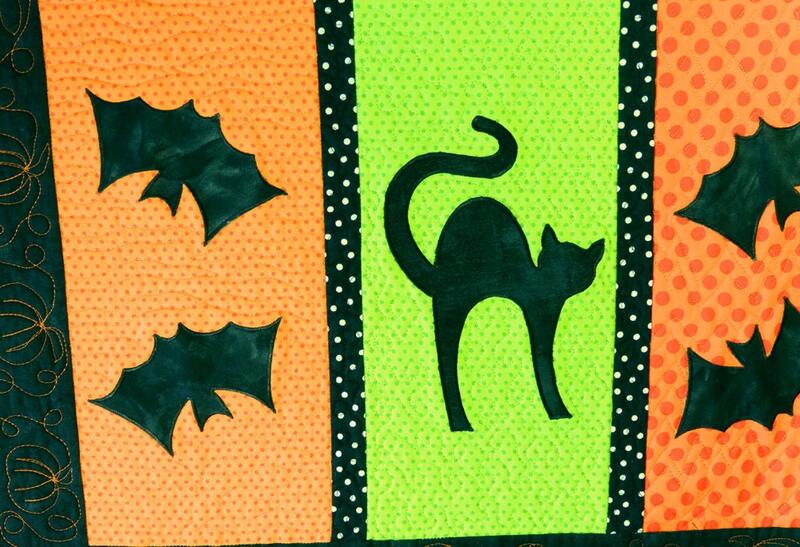 The cats and bats are appliques that have been sewn on using a dense satin stitch. 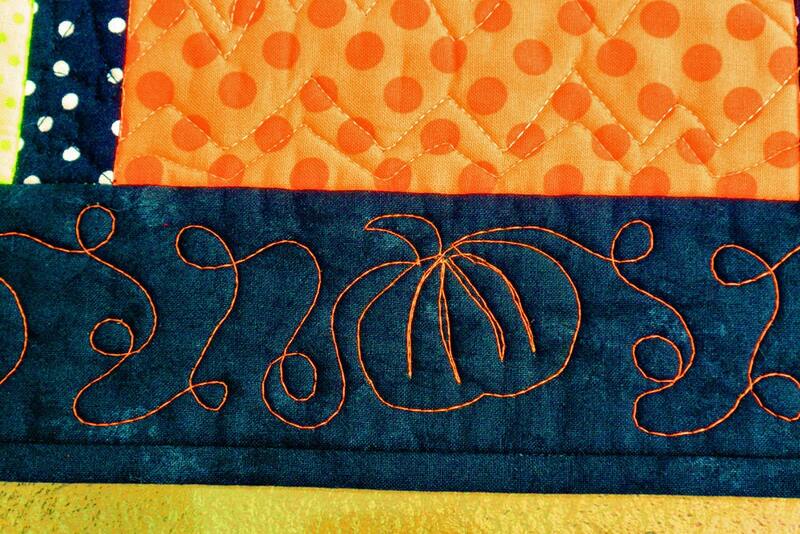 Along the black border, I have quilted pumpkins and vines in an orange thread (see picture 4.) Inside each rectangle I have quilted different designs with thread that matches the fabric.The backing is a fun black and white chevron pattern and the binding is solid black. The runner measures 18" x 39". If you are looking for a distinctive hostess or housewarming gift, this runner will fill the bill. It is a one-of-a-kind, handmade piece and the fun of it is that no one else will ever have a runner lie this one! Enhance your home by adding this beautiful quilt to your shopping cart now, and take advantage of paying via PayPal, using a credit card or withdrawal from your PayPal or bank account! Care: Hand wash in cold water or machine wash in cold on gentle cycle, low dryer, iron as desired. I strongly recommend adding two or three Shout Color Catchers to the wash to avoid color bleed. My home is smoke-free. 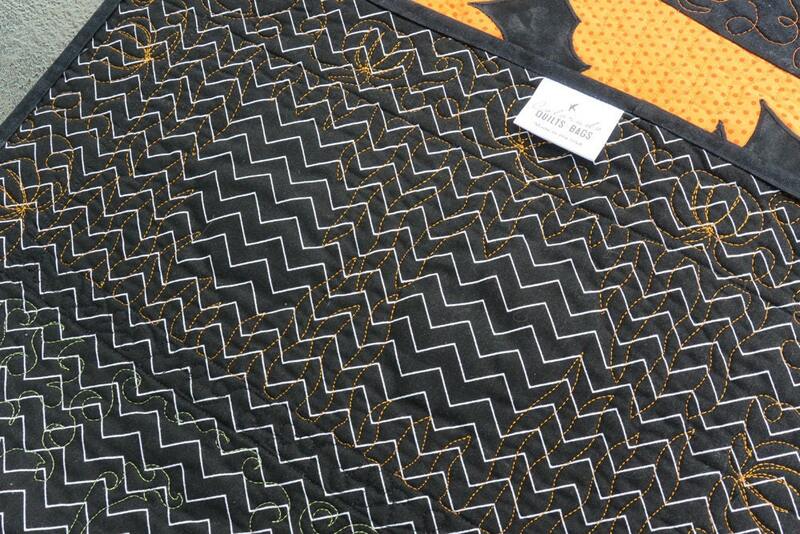 This listing is for the table runner only; photo props are not included.